Larry, a Penn State and Villanova Law School graduate, has long been recognized by members of our community as one of its leading personal injury litigators. He has practiced in Pennsylvania and in the Federal Court system since 1967. Larry was an officer in the U.S. Army and served as a Hospital Administrative Officer in the Medical Service Corps. This experience led to a lifelong interest in medical matters which he has used successfully in representing seriously injured clients. 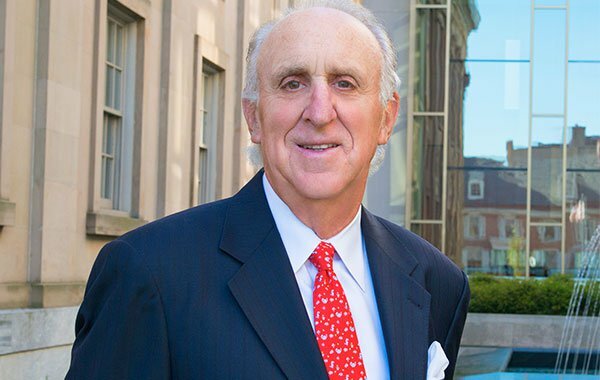 Although he has recovered verdicts and participated in settlements far in excess of $1,000,000, Larry is particularly proud of two recent Chester County jury verdicts where his clients were awarded in excess of $200,000 in cases when the insurance company’s final offers were less than $15,000. These verdicts were among the highest recoveries in West Chester for what are known as soft tissue injuries. Larry for many years served the Chester County Bar Association as its liaison to the Chester County Medical Association. He has made presentations on trial practice to local attorneys through the John Stively Inns of Court and the Chester County Bar Association’s trial attorneys group. Larry has his finger on the pulse of Chester County juries, and has been regularly consulted by attorneys from in and outside the county as to the value of their injury cases in our community. You, too, will be comfortable seeking his opinion as to the value of your case. This way you will know that you have received a full and fair recovery when your claim is resolved. Because of Larry’s long-standing presence in Chester County, he has created an excellent relationship with health care providers in the County. These relationships result in a fair presentation of your case to the opposing insurance company or, if necessary, to a judge or jury. Your attorney’s ability to relate to and get the cooperation of your medical providers is very important to the successful handling of your claim. Larry’s wife, Darcie, has been the Executive Director of the Chester County Art Association since 1998. Their daughter is a physician who specializes in pain management. Their son, Joel, has been with the firm since 2012. Larry served on the Zoning Hearing Board of the Borough of West Chester for more than 20 years. He was a member of the Board of Directors of the YMCA of West Chester and of the March of Dimes. He is a Past President of the Whitford Country Club. Larry has been a supporting member for more than 40 years of the American Trial Lawyers Association, now the American Association for Justice, and the Pennsylvania Trial Lawyers Association. He has recovered jury verdicts in excess of $1,000,000 and is a member of the Million Dollar Advocates Forum.